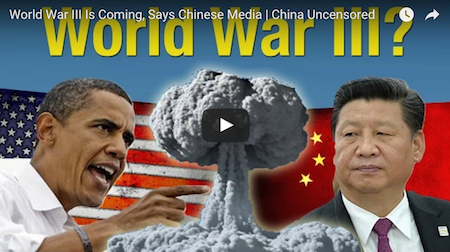 The United States will start World War III with China. At least that’s the message China’s hawkish state-run Global Times seems to enjoy pushing. War is “inevitable” if America doesn’t let China have its way in the South China Sea, says Global Times. So, will bombs drop? Find out in the video below of China Uncensored. Guy Spots Newborn Deer Laying In Middle Of The Road, Then He Notices THIS!